Visana, the new speakeasy style cocktail lounge on First Avenue that’s also a pizzeria in front, will be seeking the blessing of Community Board 6 for a renewal of its liquor license on Thursday. However, as Town & Village has previously reported, the new venue, across from Stuyvesant Town, has managed to draw the ire of neighbors due to nighttime noise. In November, cops at the 13th Precinct told neighborhood residents who’d complained about noise they’d be following up with the owner David Jaffee on that issue. “The educating part has come and gone so we’ll deal with it accordingly,” said Detective Ray Dorrian at the time. He’d also since then been slapped with charges by the State Liquor Authority over the noise complaints. Another potential obstacle for the business is that too many licenses have been issued in the area already. The SLA generally only allows three full liquor licenses within 500 foot radius of one another, but according to a spokesperson for the agency, there were already three when Visana applied, but didn’t disclose this. 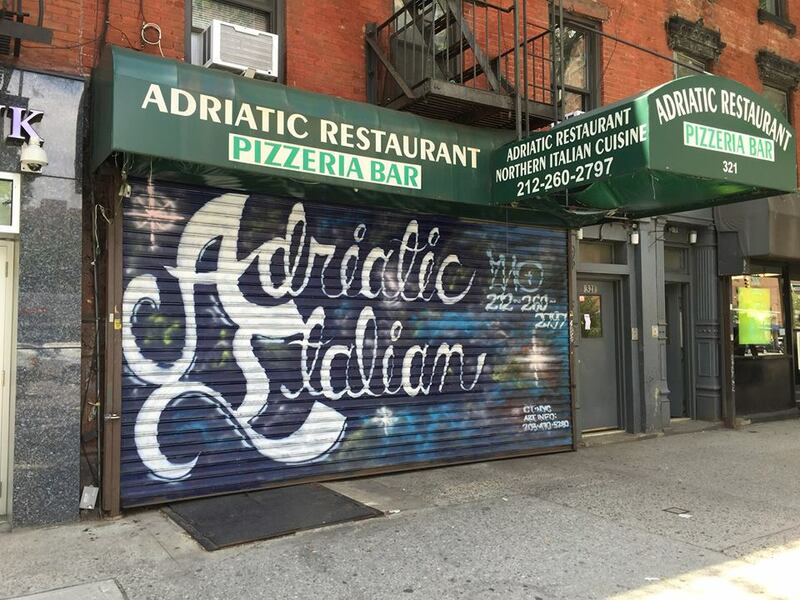 On Friday, Adriatic pizzeria and restaurant, which had been across First Avenue from Stuyvesant Town for over a quarter century, closed, to the surprise of the community. A board member of the ST-PCV Tenants Association learned about the imminent closure in the morning when she went to check out a Tenants Association dropbox that was at the location. Town & Village attempted to reach the owner at around 2 p.m. but it was too late, with no one picking up the phone. A visit there shortly afterwards also produced no luck with a metal grate closed around the restaurant, located at 321 First Avenue between 18th and 19th Streets. The restaurant switched ownership three years ago and also renovated the space. Like many businesses along First Avenue near the VA Medical Center, owner Nino Geni told T&V in the months after Hurricane Sandy, there had been a drop in business. Customers said recently the place never seemed busy. Susan Steinberg, the chair of the Tenants Association as well as a member of Community Board 6, said she’d first gotten wind of the closure last December when another company tried to get the board’s blessing for a liquor license at the address. The new business was to be a pizzeria and lounge. However, Steinberg said when the owners of Adriatic were asked about it, they denied that they were closing. Reached on the phone on Monday, David Jaffee, the co-owner of the new pizzeria/lounge, said it will be called Visana. The menu at Visana will feature organic spirits and ingredients as much as possible, but not exclusively. Jaffee, who moved to Stuyvesant Town three months ago, added that he is “very committed to the community and I hope they will embrace us.” This is the first business venture for him as well as his partner Ross Rachlin. There is no set date for the opening since there is going to be some renovation work needed first. However, a note that’s been taped to the door does state the place will open at some point in August. When going before CB6’s Business Affairs and Streets Activities Committee, Jaffee and Rachlin of Pure Hospitality LLC had pitched a pizza restaurant/lounge that would focus on organic food and beverages. The owners had hoped to stay open until 4 a.m., but CB6 prefers establishments to commit to closing at 2 a.m. In January, CB6 authored a resolution opposing the application, citing concerns from neighbors about a growing nightlife scene in the district and concerns from the Gramercy Park Block Association over having a lounge open until 4 a.m.
Jaffee said the board told him it would have no problem with his concept if he agreed to close at 2 a.m. for the first year. However, he didn’t want to commit to that time frame. “We didn’t sign their stipulation because we felt confident that we could do better at the SLA level, which we did,” he said. Last week, he got the business’s liquor license approved and liquor can be served until 3 a.m. for the first six months. Then after that he’s allowed to return and request permission to serve alcohol until 4 a.m. He’d requested permission to remain open until 4 a.m. but the SLA cited the community board’s concerns and the fact that Jaffee is a first-time operator as reason for the one less hour when he can serve alcohol. He doesn’t have to close at 3 a.m. though so from 3-4 a.m., Jaffee told Town & Village the plan is to make this a “detox hour,” when coconut water and healthy juices are served. 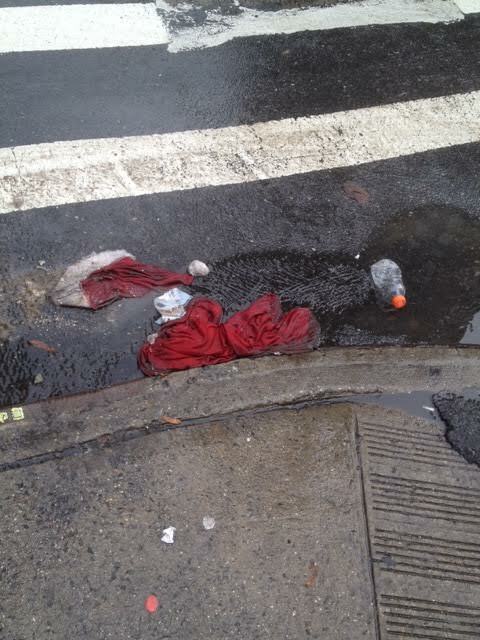 State Senator Brad Hoylman, who recently got the organizers of SantaCon to agree to a few rules to prevent the public disturbances it’s become known for, said he also has another weapon aimed at the annual pub crawl: the State Liquor Authority. Following the return of the event last weekend, Hoylman told Town & Village he thought another way to prevent participants from binge drinking was to report any bars that serve inebriated patrons to the SLA. He also thought one of the NYPD’s tactics, attempting to discourage bars from participating, was a good idea. The senator, who attended SantaCon on Saturday to observe how things were going, said he didn’t personally see any of the promised “elves” along the route who were supposed to manage the crowds and weed out any bad Santas. This was one of the things organizers had agreed to do previously, along with share the event’s route ahead of time with precincts and community boards. The organizers did do the latter though, said Hoylman, which he said seemed to help in terms of keeping the event mostly under control. This year, countless Kris Kringles and other Christmas-themed costumed characters trudged through a snowstorm to head from bar to bar in the East Village and the Lower East Side before heading to Brooklyn. The event has grown over the years, despite backlash from residents of neighborhoods it visits and organizers’ protests about how its purpose is actually to raise money for various charities. Organizers have also previously told T&V they agree with Hoylman that bad behavior reported at previous crawls, like public urination and vomiting, is unacceptable. The rep added that organizers are still figuring out how much money the event raised.